There are a lot of reasons to love geraniums. Geraniums are easy to grow, hardy in hot weather and easy to winter over soil-less in brown bags in a cool spot like a basement. 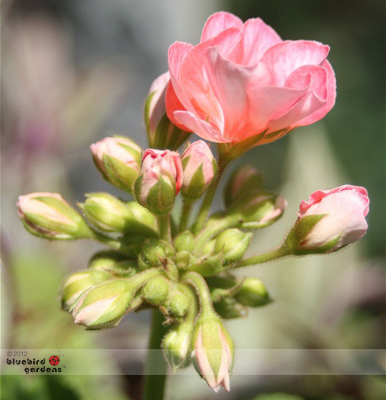 In 2010, several new varieties of geraniums were introduced, offering a wider range of colors. They also make delightful cut flowers.